This bracelet (remember this from last week?) still isn't right! Unfinished Bracelets - It's Driving Me NUTS! 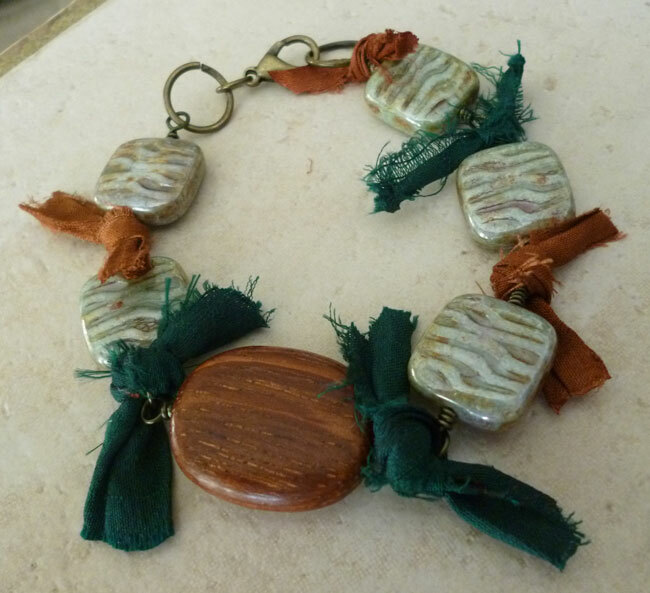 I've tried Sari Silk, bead drops/dangles, all kinds of stuff - nothing looks good to me. Although, it does feel really good right now with all these silk ties on it - very smooth, cool, and soft - so that's nice, but we'll see where this goes! And these,...oh boy! 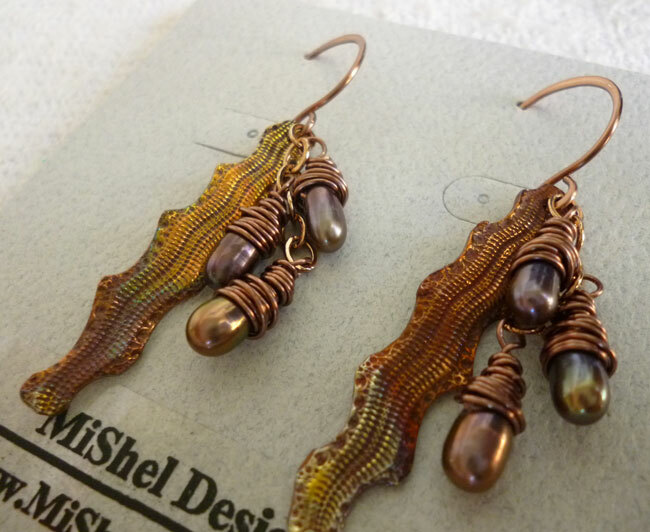 Yes, these are those "Snake Skin" components that I won from Kristi Bowman over at Dreamsome Designs. Yep - I added glorious pearls (of course!) and wrapped them w/some vintage colored wired from Parawire/Vintaj - lovely color, huh?! And then I added some custom earring wires with the wire as well. Can't wait to get some real 'shots' of these earrings - they're very cool in person! 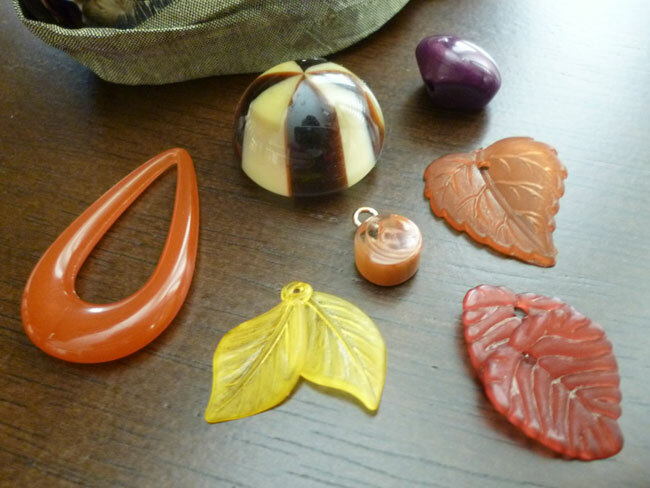 And last, but not least, it's these little devils giving me a hard time this week with the Very Vintage Fall Challenge over on Michelle Mach's blog. I'm stumped!! So, these will be on my table, staring at me for the rest of the week until my muse shows up and tells me what to do!! What's on your bead table this Wednesday? Hop on over to the Flickr group and check out everyone's tables - they're pretty cool!! Peace, Love and Happy BTW! !